This was £7.99 the other week, cant guarantee how long it will be this price. I can guarantee that it does have the scene with Pink Floyd - Money in which is cut from every dvd version ive seen. Presume this means any other cuts will not be cut. See how it all started in the very first series as crafty Cockney Derek Trotter sets out in pursuit of his dream of making a fortune. He is endlessly pursuing dodgy deals and shady schemes, but each and every one of his brilliantly ill-conceived plans seems to end in disaster. Against all odds, he struggles to support Rodney, his hapless kid brother, and Grandad. The three of them live together in a high-rise block of flats in Peckham, South London. The flat is not so much a home as an operational headquarters for Trotter's Independent Trading. But Del is convinced that one day his schemes will make him a millionaire. Classic comedy starring David Jason, Nicholas Lyndhurst and Lennard Pearce. Yep its definately fully uncut. Was an extremely non pc word used. During the war...the never had downloads. What is the Pink Floyd Money scene? I've seen them all but I cant think what it is so curious why it was cut. This says Series 1.. is this the entire series for £3.99? And which episode is this Pink Floyd money scene in?? What is the Pink Floyd Money scene? I've seen them all but I cant think … What is the Pink Floyd Money scene? I've seen them all but I cant think what it is so curious why it was cut. The scene wasnt actually cut just the music. It was replaced by other music as the BBC no longer have a contract to use it. Quite a lot of music has been replaced in the later edits. Heres a list of all scenes cut. One episode has 18 minutes cut out. This says Series 1.. is this the entire series for £3.99? And which … This says Series 1.. is this the entire series for £3.99? And which episode is this Pink Floyd money scene in?? Yes entire first series. 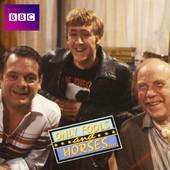 The episode the music was changed was Cash & Curry when Del and Rodney are flogging all their gear. Yes entire first series. The episode the music was changed was Cash & … Yes entire first series. The episode the music was changed was Cash & Curry when Del and Rodney are flogging all their gear. Nice one, just looked at the link above and looks like all of the first series had cuts made... quite harsh really. Thanks a lot for the info. BBC's bowing down to a minority of people and tear apart a cultural icon. The music stuff on the other hand is a prime example of why copyright law needs reducing not increasing. Thanks a lot for the info. BBC's bowing down to a minority of people and … Thanks a lot for the info. BBC's bowing down to a minority of people and tear apart a cultural icon. The music stuff on the other hand is a prime example of why copyright law needs reducing not increasing. Agreed. If you read through some of the scene cuts it has the original script and you cant actually work out why some of them were cut. Nice one, just looked at the link above and looks like all of the first … Nice one, just looked at the link above and looks like all of the first series had cuts made... quite harsh really. If you click on "cut" for each one it tells you what was actually cut - for all except "cash and curry" it was just that the start and end titles had the music replaced with the well-known song that all the later episodes used. So is the whole series uncut? Or just one scene? There are just odd bits and bobs I notice baring in mind ive probably seen the cut versions far more times that the uncut, like said there is a few soundtracks changed and a few words chopped out and stuff because they are non pc and would offend someone. I'd say the whole series is uncut but you'd have to watch it.